"We hope he has learned his lesson and his mother has forgiven him." 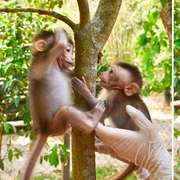 When wildlife rescuers in Thailand first met their tiny new patient, a baby long-tailed macaque, he was so barely conscious they thought he was blind and on the verge of a coma. 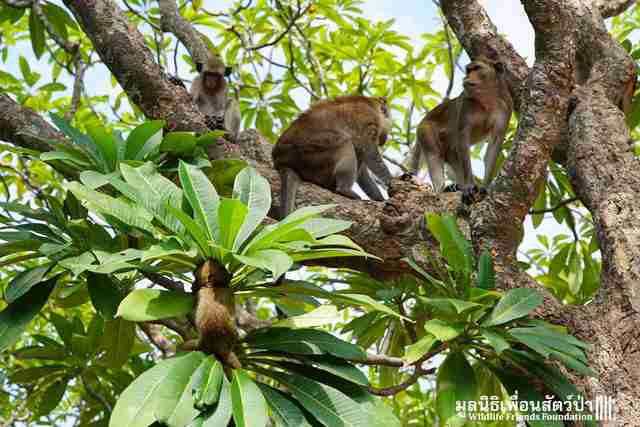 The tiny monkey and his family live near a temple in Petchaburi, Vietnam. He had appeared so sick to even his own mother that she must have thought he was beyond saving. By the time rescuers arrived she'd started to leave him behind. 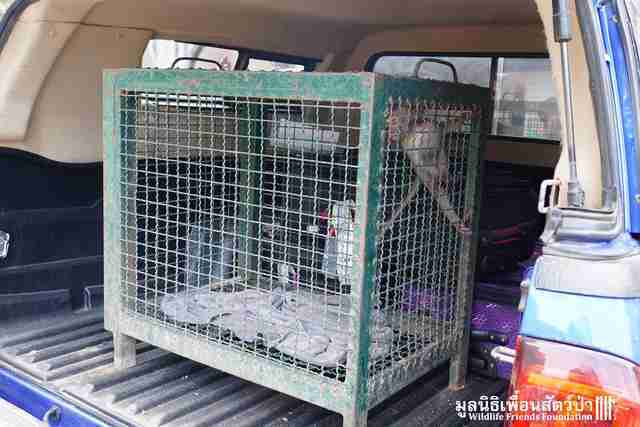 "The outlook did not look good," Wildlife Friends Foundation Thailand (WFFT), the organization that rushed the baby back to its rescue center, wrote. 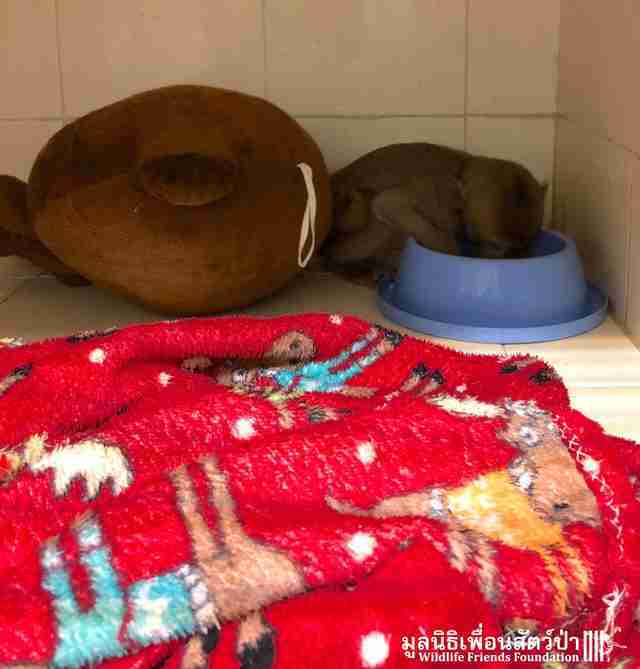 "The vet team provided round the clock care for this little creature." 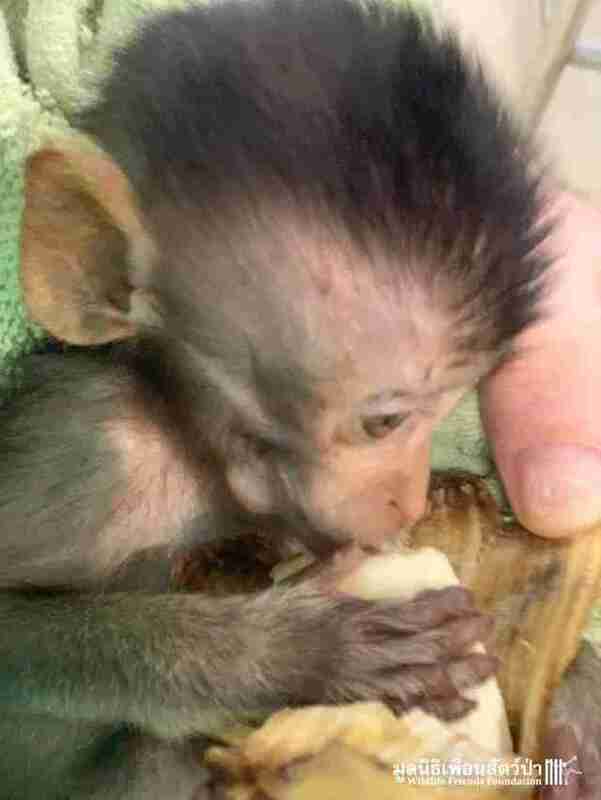 But then something bizarre happened — the baby monkey seemed to almost come back to life. "The next morning ... he was 80 percent better," WFFT wrote. He was also able to eat and drink water and he could see perfectly fine. "His movement [was] a bit unsteady but almost normal." The food and water seemed to do the little guy a lot of good, as by the next day he was totally better and ready to be released. But what had been wrong with him? 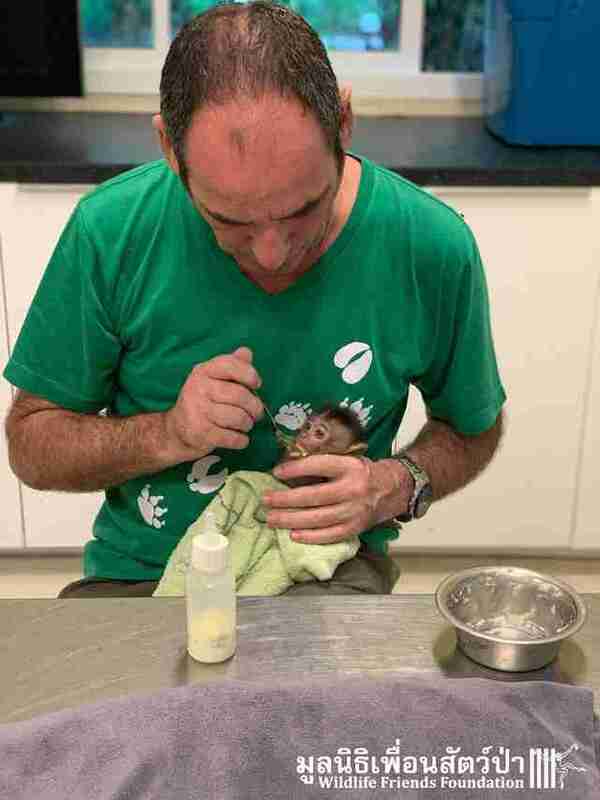 Rescuers realized that the baby monkey had probably gotten very drunk. 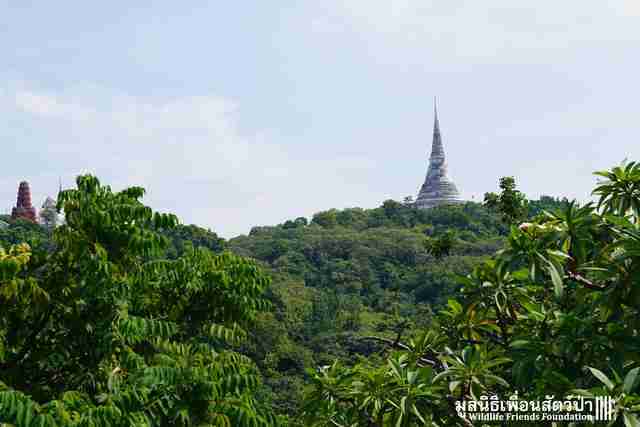 "Alcohol ... is often left at temples as an offering to the spirits," WFFT wrote. "Somehow this little monkey had managed to drink some and suffered the consequences." The little guy's body wasn't at all equipped to deal with drinking alcohol. The beverage acted like a poison and could have really hurt him, and he might never have been able to go back home. "Without the liver enzymes to break down the alcohol it poisoned his system," WFFT wrote, "but with the correct care it was flushed out of his system." 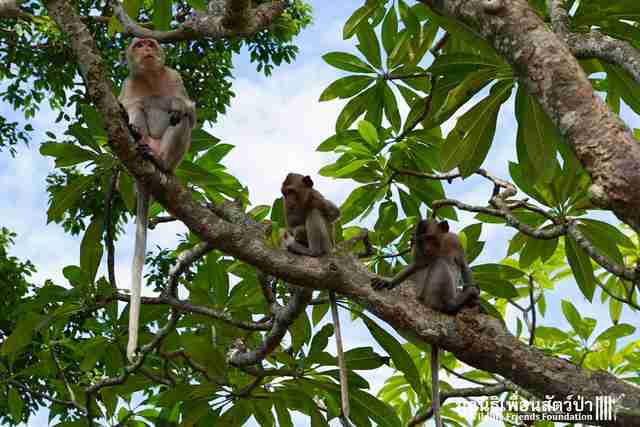 But the baby monkey seemed to have little concern for his behavior. Mostly, he was excited to get back to his family. 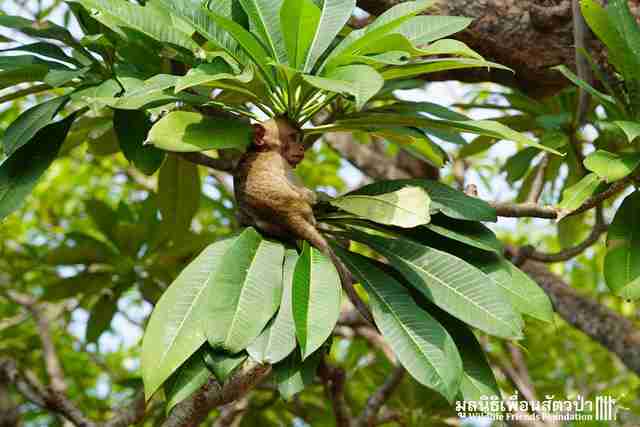 So rescuers drove the baby monkey back to the forest near the temple where his family lives. 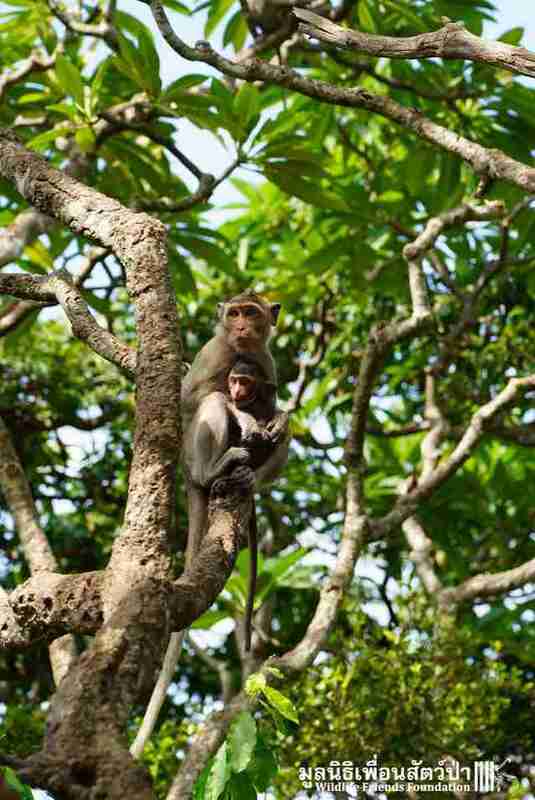 Released into a nearby tree, the baby monkey scurried skyward toward his relatives, who were perhaps surprised to see him. "Rescue, repair and release, this is the aim of every rescue but it never usually happens so quickly or dramatically," WFFT wrote. WFFT staff managed to get some sweet photos of the baby reuniting with his family, who accepted him with open arms. "The little rascal was returned to his troop and the wild," WFFT wrote. "We hope he has learned his lesson and his mother has forgiven him." You can help WFFT rehabilitate wild animals in need by making a donation.